In new cover story on Meghan Markle, the actress not only speaks out about her relationship with Prince Harry for the first time — they met in July 2016 and are “really happy and in love,” good to know — but we also get a glimpse into her friendship with tennis queen (and new mom) Serena Williams. Markle met Williams, one of the greatest athletes of all time, seven years ago at the Super Bowl, according to Vanity Fair. 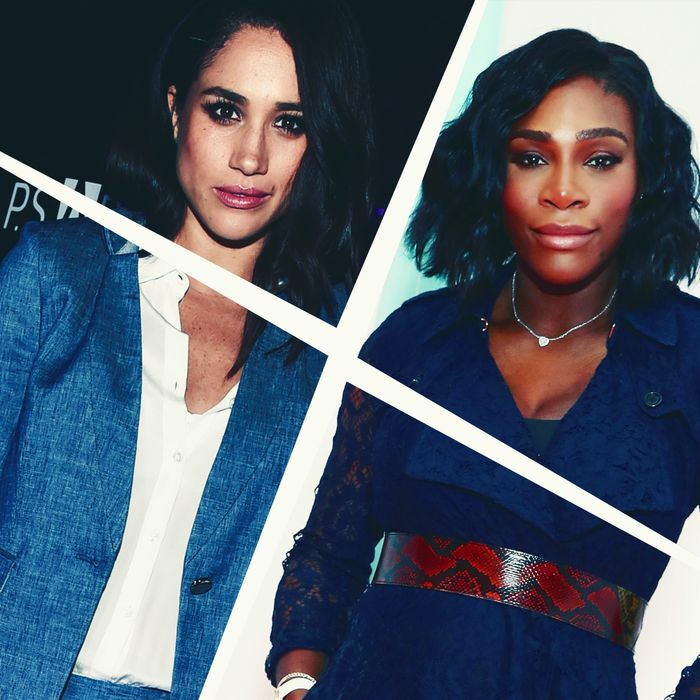 The pair have since gone on to become close friends — so close, in fact, that Markle credits Williams with being someone who has supported her as she deals with the newfound notoriety that comes with dating a prince. Can’t wait to see pictures of Williams at the hypothetical royal wedding.